Michael Rollins is a Junior from Miami, Florida. He became involved with SMU SHPE this semester. Michael has previously worked in the environmental industry in South Florida on numerous government projects along the East Coast. He also has experience in digital consulting and accounting. At SMU, Michael is heavily involved with SMU Debate and the University Conduct Board. His favorite part of SMU SHPE is meeting his fellow members and learning about their goals and experiences. Through SHPE, he hopes to network and to continue meeting new people as he strives to apply his skills and make a positive impact on the world. Cecilia Gonzalez is a Junior at the Bobby B. Lyle School of Engineering majoring in Engineering Management, Information and Systems. She was born and raised in Merida, Mexico. 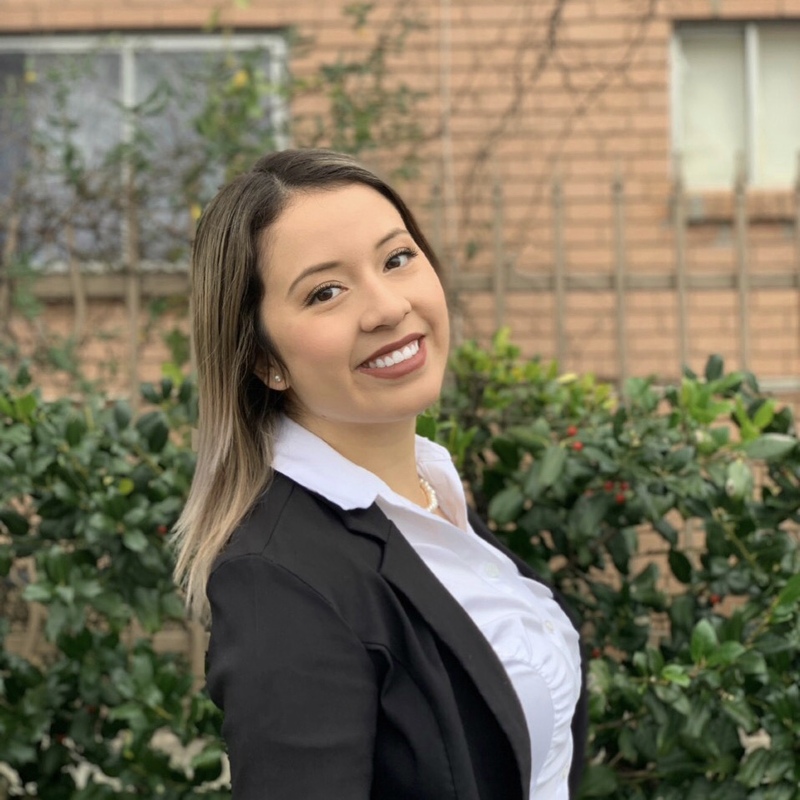 Cecilia joined SHPE her sophomore year and now as an officer, she is helping grow membership, and helping SHPE members fulfill their professional needs. Cecilia interned this summer with PwC at Dallas, helping develop 3 apps for the recruiting advisory team. Outside of SHPE, Cecilia loves to dance and have fun with friends. Julie Tapia is a junior studying Computer Science in the Lyle School of Engineering. She joined SHPE in 2018 in order to build her network and help others do the same. She also wants to inspire and motivate young Latinos to pursue a higher education. Julie is interested in a career in tech that will allow her to use a balance of her programming skills and her interpersonal skills. She interned for Intel the past three summers and worked with technologies she had never used before. She enjoyed researching and gaining new skills to perform her job. In her free time, Julie likes to read and run! Jaime Reverte is a Senior at the Bobby B. Lyle School of Engineering double majoring in Mechanical Engineering and Mathematics. Starting August 2018, he also started pursuing his Master’s Degree in Engineering Management. Jaime was born in Mexico City, but moved to Texas at a very young age and has lived there ever since. He first joined SHPE SMU his Junior year, but he became an officer his Senior year - in search of helping his fellow officers reach the organization’s potential. Jaime’s personal interests include composing and producing music! If you have any questions about the 4+1 program at SMU, Double Majoring, or everything and anything related to music, contact Jaime at any time! Omar De Labra is a Sophomore at the Bobby B. Lyle School of Engineering, double majoring in Computer Science and Mathematics. He was born and raised in Dallas, Texas. As the Director of Community Service, he is reaching out to economically disadvantaged schools in an effort to promote interest in engineering and college awareness. Omar loves giving back to his community and has spent three summers teaching numerous kids and adults how to swim. This past summer, he worked for the Caruth Institute of Engineering Education serving as a camp counselor to expose students to various STEM fields. In his free time, Omar enjoys swimming, running and hanging out with friends. Santiago Aguero is a Sophomore at the Bobby B. Lyle School of Engineering majoring in Civil Engineering. Santiago was born and raised in Tegucigalpa, Honduras. He joined SHPE SMU during his Sophomore year, and is now the Academic Director for the organization. He is constantly helping SHPE members achieve their best grades and excel as professionals. He has worked in the construction industry in Honduras, including the construction of the Honduran Civic Center in Tegucigalpa this summer. Santiago’s personal interests include sports and music. If you need any help locating academic resources in campus feel free to contact Santiago. Maria Pedraza is a Junior at the Cox School of Business at Southern Methodist University majoring in Business Management with a minor in International Studies. Maria was born and raised in Bogotá, Colombia and has lived in Dallas, Texas from a young age. She joined Society of Hispanic Professional Engineers as the Chief Financial Officer in order to support Hispanic students undertaking programs in the STEM fields through business knowledge and analytics. Maria hopes to be able to contribute her management leadership skills to the organization and make an impact on the members of SHPE. In her free time, Maria loves watching movies, dancing, singing and taking her cat on adventures. Feel free to reach out to her at any time via email if you have any questions.